Access to information is described by some as “a human right”. The solution to delivering such an ideal is now within our grasp. Whereas content on the internet has exploded in volume and heterogeneity of subject material, the “access” has been blocked by economic and to a lesser extent technological constraints. the latter are dissolving as the margins between developed and developing countries blur. The former are still an issue; in Venezuela almost half the population exist at or under the breadline, while almost 80% have android phones. While education is essential for improvement of opportunities to improve economic status, it also depends on provision of information in an understandable, and processable form. The technology has arrived, but that flow of information is stemmed by commercial interests (exclusively situated in the developed world) who seek to get fatter by charging the underprivileged for access to staple information. This article sketches the particular example of cancer science, a billion dollar industry which continues to exclude scientists and physicians from up-to-date knowledge unless a financial premium, usually unaffordable in emerging nations, is paid. Ecancer is a charitable solution which has incurred the wrath of the monied elite in publishing, so it might be doing the right thing. Most cancer journals now have a strong online presence, and although internet penetration rates in the developing world continue to lag far behind those of the developed world, this is changing rapidly. In the ten years from 2000 to 2010, internet users in the developed economies almost tripled. In the rest of the world, their number grew ten-fold1. The dissemination of medical information in developing countries will continue apace as the reach of the internet grows. However, cancer researchers are often not able to access the information contained in online journals because of the rising costs of subscriptions and permission barriers imposed by publishers. 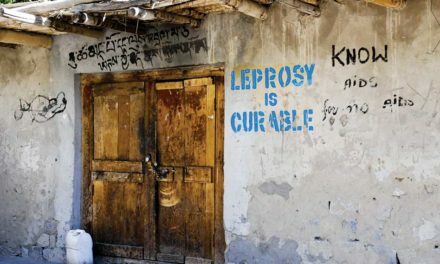 There is evidence that local health research and health care in developing countries have been damaged through lack of information2,3 and the limited accessibility of full text articles. The growing support for the Open Access publishing model, which means providing unrestricted access via the internet to peer-reviewed scholarly journal articles, is particularly important for developing countries. Free access to full text articles has to be the Holy Grail of Open Access publishing to support the progression of research and subsequent improvement in patient care. There are a number of new initiatives surrounding Open Access4 publication practice. These innovations are helping to push information, previously hidden behind pay walls, into the science arena. Many major biomedical funders, such as the Medical Research Council and the Wellcome Trust in the UK5, and the NIH in the USA have Open Access mandates. The recent adoption of an open access mandate by the University of Pretoria in South Africa recognizes the importance of open access for developing regions6. These powerful organizations believe that maximising the distribution of journal articles is the most effective way to ensure that the research results they have funded via research grants can be accessed and exploited. In developing countries where library budgets are small or non-existent these mandates are starting to have a significant effect on the distribution of literature. Open Access can also help cancer research by encouraging collaboration across borders. 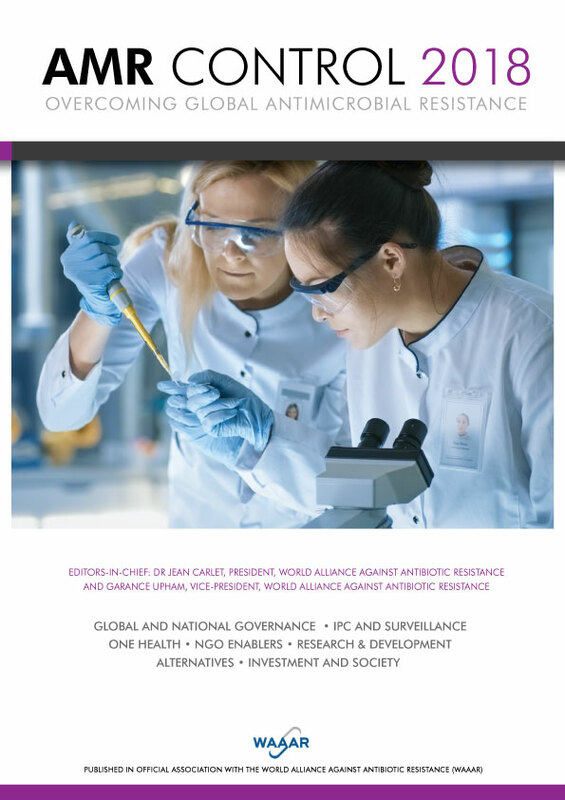 An article published by the World Health Organization points out that access to research both from developing countries and “international” research is important in order to solve complex knowledge gaps7. Without collaboration between research communities and regional knowledge, the research picture is incomplete and may result in the wrong conclusions. It is likely that some effective treatment for cancers in developed countries may not work in developing countries because of environmental and genetic factors, and vice-versa. New innovations in cancer treatments are becoming more tailored; the idea of “personalized medicine” where the individual genomic profile of the patient and the tumour plays a part in treatment decisions continues to advance. Other areas of medicine have demonstrated how important molecular profiling can be, for example in the treatment of tuberculosis; the Bacille Calmette–Guérin (BCG) vaccine developed in Europe for combating tuberculosis is of limited efficacy in China and India, the countries hardest hit. Molecular typing studies demonstrated that the Indian tuberculosis strains are different from those in Western countries8. It is imperative for cancer researchers to share knowledge and build a global research picture for advances in treatment to be made quickly. The explosive growth of mobile phones and mobile voice services in developing countries has led to increased uptake of the mobile web. Data usage is rising rapidly, and will continue to do so9. Widespread adoption of mobile technology in health care, or “mHealth”, is now viewed as inevitable in all markets around the world. A recent study on “Emerging mHealth: paths for growth”10 found that 35% of patients in the developed world use at least one mHealth application or service. As patients embrace a new way of accessing information it is imperative that health care professionals keep up with the demand, and that companies develop applications that can support this need. Accessing the latest cancer information on a mobile phone, at low cost, will accelerate communication and dissemination in the cancer community, especially for those countries with restricted access to the internet or low bandwith connections. Indonesia for example is a nation of more than 17,000 islands, with many areas lacking high-speed cable broadband connections, DSL lines or even regular phone lines for dial-up service. Many people have turned instead to accessing the internet with their mobile phone in the past year as falling costs, increased bandwidths and improvements in browser technology have made it quicker to surf from a cellphone. For many, browsing on a handheld device is a cheaper alternative to buying a PC or paying for home Internet service11. With the advent of 4G mobile technology that will see comparable speeds to wireless networks mHealth will continue to grow. The training of health care professionals is also important for improving cancer care in developing countries12. The development and access to free educational content from universities and non-profit organizations can help fill the training and educational gaps in developing countries. Although not specific to cancer, Yale University has Open Yale Courses (OYC) that provide free, open access to courses taught by their scholars. Subjects covered include: biochemistry, molecular biology and chemical biology; cellular and developmental biology and genetics. Ecancer, another not- for-profit organization, is currently working with the BMS Foundation to develop an Open Access oncology nursing education portal that will support educational materials in five languages for Eastern European countries that will be free to access. Ecancer also includes its educational materials in iTunes U, where free content from universities such as Stanford, Yale and Oxford can be created and distributed around the world. Ecancermedicalscience was the first peer reviewed , fully Open Access (no author or subscription fees) cancer journal in PubMed, this is reflected in 40,000 unique visitors from 191 countries accessing the website via the free App or a PC each month. The site also hosts educational videos with key opinion leaders at the major cancer conferences which have been watched two million times in three years, all at no cost. As the economic and planetary cost13 of attending medical conferences increases, it is becoming more important than ever for educational information to be easily accessible on the web. Many leading global oncology conferences now webcast their sessions, however they can be prohibitively expensive for medical professionals in developing countries to access. It is important that organizations such as ecancer continue to deliver expert interviews from the leading conferences free of charge, and within hours of the conference so that medics can learn about new practice-changing information in real time. Susi Burke is the Chief Executive Officer of Cancer Intelligence, the exclusive publisher of ecancer.org. She is also a board director of ECMS AG. With over 13 years of communication and marketing experience across multiplatform media with global brands, she is an expert in cancer communication. At the helm of Cancer Intelligence activities, she promotes the effective dissemination of cancer information to the media and the general public. Professor Gordon McVie is the Executive Chairman of Cancer Intelligence and Chairman of ecancer.org. He is widely regarded as a leading international authority in the research and treatment of cancer and is responsible for clinical research coordination, strategy and international affairs at the European Institute of Oncology. Previously, Professor McVie was Chief Executive of the Cancer Research Campaign (CRC), then Cancer Research UK, the largest grant giving charity in the UK. Throughout the Eighties, he was Clinical Research Director at the National Cancer Institute of the Netherlands, and consultant in oncology at the Antoni van Leewenhoek Hospital, Amsterdam. As President of EORTC, he set up the present Drug Development Group in Brussels, and with NCI support, the European New Drug Development Network. 2. Zerhoni EA. Access to biomedical research information. Bethesda, MD: National Institutes of Health; 2004. Available from: http://www.taxpayeraccess.org/docs/NIH_access_report.pdf [accessed 29 June 2009]. 3. INFOcus. Rising journal costs limit scholarly access. Atlanta, GA: Emory University Libraries; 2007 Available from: http://www.lyponline.com/infocus/0907/Special_Report.htm [accessed 29 June 2009]. 4. Defined by the Budpest OA Initiative: By “open access” to this literature, we mean its free availability on the public internet, permitting any users to read, download, copy, distribute, print, search, or link to the full texts of these articles, crawl them for indexing, pass them as data to software, or use them for any other lawful purpose, without financial, legal, or technical barriers other than those inseparable from gaining access to the internet itself. The only constraint on reproduction and distribution, and the only role for copyright in this domain, should be to give authors control over the integrity of their work and the right to be properly acknowledged and cited. 5. Position statement in support of open and unrestricted access to published research. London: The Wellcome Trust; 2008. Available from: http://www.wellcome.ac.uk/About-us/Policy/Policy-and-position-statements/WTD002766.htm [accessed 29 June 2009]. 6. Open access self-archiving policy. Pretoria: University of Pretoria. Available from: http://www.eprints.org/openaccess/policysignup/fullinfo.php?inst=University%20of%20Pretoria [accessed 29 June 2009]. 8. Van Embden JD, Cave MD, Crawford JT, Dale JW, Eisenach KD, Gicquel B, et al., et al. Strain identification of Mycobacterium tuberculosis by DNA fingerprinting: recommendations for a standardized methodology. J Clin Microbiol 1993; 31: 406-9 pmid: 8381814.